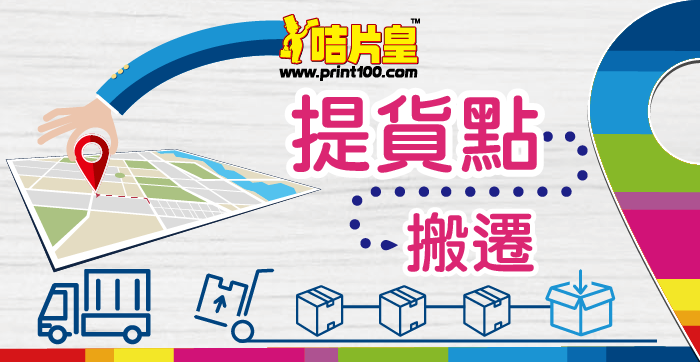 Effective from 23 March 2019, the pick-up point will be relocated to 「Speed Printing Service Center」 at Flat I, G/F, Wah Fung Industrial Centre, 33-39 Kwai Fung Crescent, Kwai Fong (the confluence of Kwai Fuk Road and Hing Fong Road, the opposite side of the Kwai Tsing Theatre). Please feel free to contact us at 29680000. Speed Printing Service of Print100 Limited has started commencing services. Our customer service representatives are always ready to provide you efficient price quoting, digital artwork documents checking and order placing services.